Yoplait Original Yogurt Review and Giveaway! Well, it has happened. It’s official! In the effort to go healthier I have jumped on the Yoplait bandwagon! Due to some of the medication I take, my calcium intake needs to increase. While looking at several ways to do this, I was lucky to be chosen through My Blog Spark and Yoplait to review their Original Yogurt. Yoplait Now has two times the amount of calcium of the leading yogurt, that’s 50 percent of the Daily Value in one convenient 6-ounce cup, Yoplait Original yogurt provides women with an easy and delicious way to get the calcium they need. Yoplait Original also contains 50 percent of the Daily Value of vitamin D, which helps with the absorption of calcium. I also found that Yoplait is committed to women’s health and is proud to offer a product that has even more of the calcium and vitamin D they need for strong, healthy bodies. How dedicated… Right now you can “like” them on Facebook and get a free cup of Yoplait Original and commit to getting more calcium in your daily diet. Yoplait Original Style yogurt is available in 4-cup packs and easy-to-store 8-cup fridge packs in 23 delicious flavors including Strawberry, French Vanilla, Harvest Peach, and Blackberry Pomegranate. I absolutely LOVE the Blackberry Pomegranate. The flavor is fantastic. For the life of me I can’t understand why I have never tried it before. 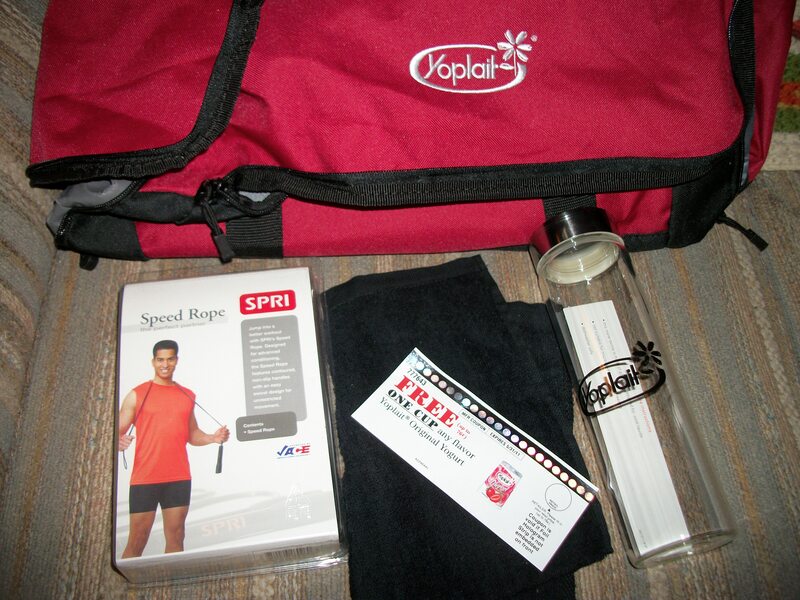 I recieved a great giftpack from My Blogspark and Yoplait. It includes a *VIP Coupon for a free sample of Yoplait Original yogurt, as well as a duffel bag, speed rope, water bottle and sport towel. 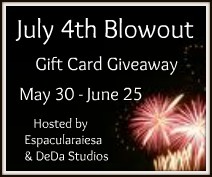 They are also providing an additional prize pack to offer as a giveaway to one of Espacularaiesa’s readers. *This coupon offer for Yoplait yogurt is not valid in some states, including California, Idaho, Louisiana, Minnesota, New Jersey, Nevada, North Dakota and Tennessee. Giveaway ends March 23 at 11:59 central time. Winner will be notified by email. Previous Soy Candle Cottage Review and Giveaway Next Dragonfly Organix For your Home Review and Giveaway! I’m trying to make sure that I have at least one yogurt a day. I try to have a glass of chocolate milk with dinner, instead of drinking pop. I take a calcium supplement to get enough calcium in my diet. I like Yoplait on FB. I eat a lot of dairy. I also just got my grains today to start making kefir. I am drinking orange juice with calcium. I know it’s wrong to say, but I dislike milk. I have to add calcium in cheese, yogurt, ice cream or other (non-milk) ways. I follow Yoplait on Twitter. I eat a lot of yogurt to get calcium in my diet. I’m drinking more milk and milkshakes. I am eating more yogurt and at breakfast.